Adaptor for use with head worn microphones which terminate with a 2.5mm stereo jack plug. 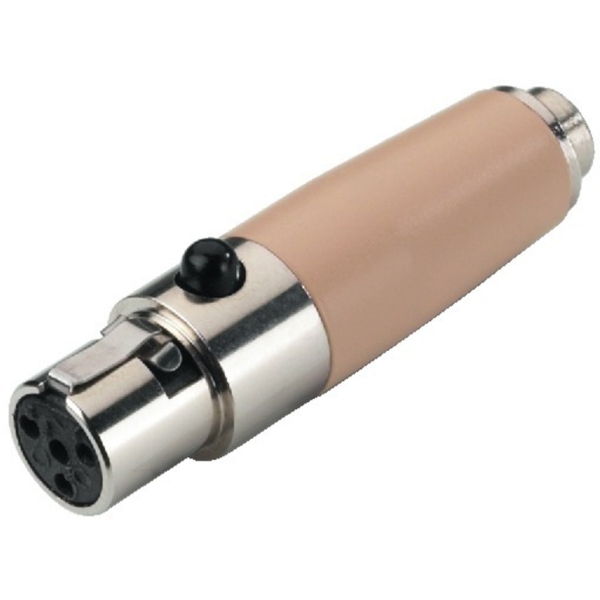 This adaptor is fitted with polarizing resistor (3K3) for electret microphone capsule. Suitable for use with belt packs fitted with 4-Pole mini XLR plugs.